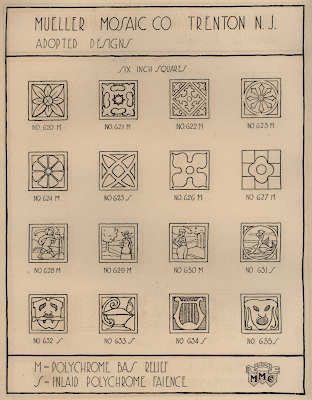 This will be the last tile catalog I include this time around. 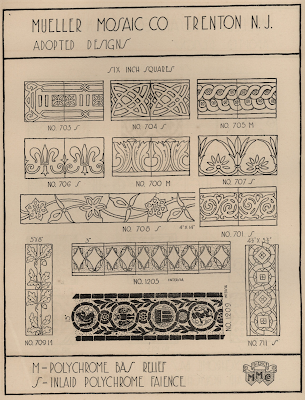 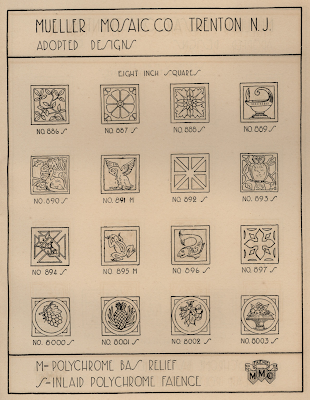 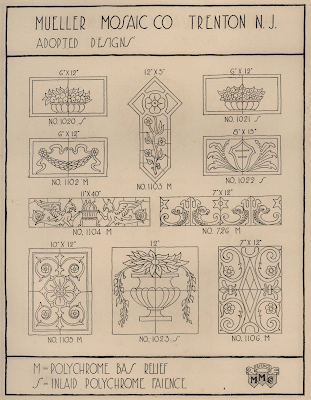 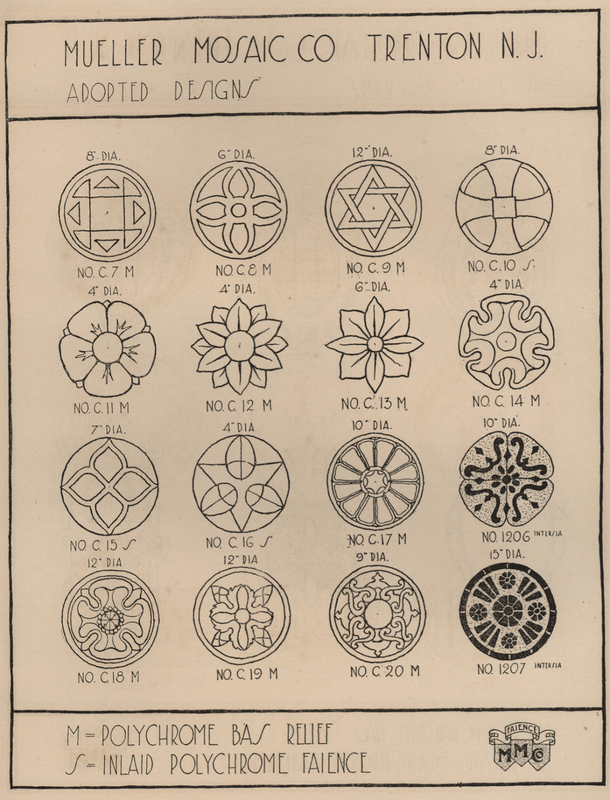 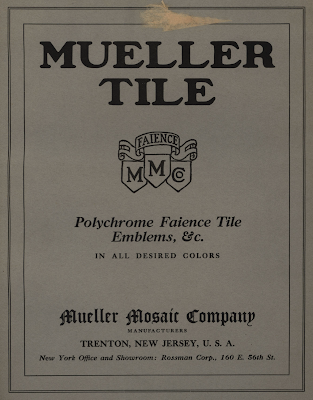 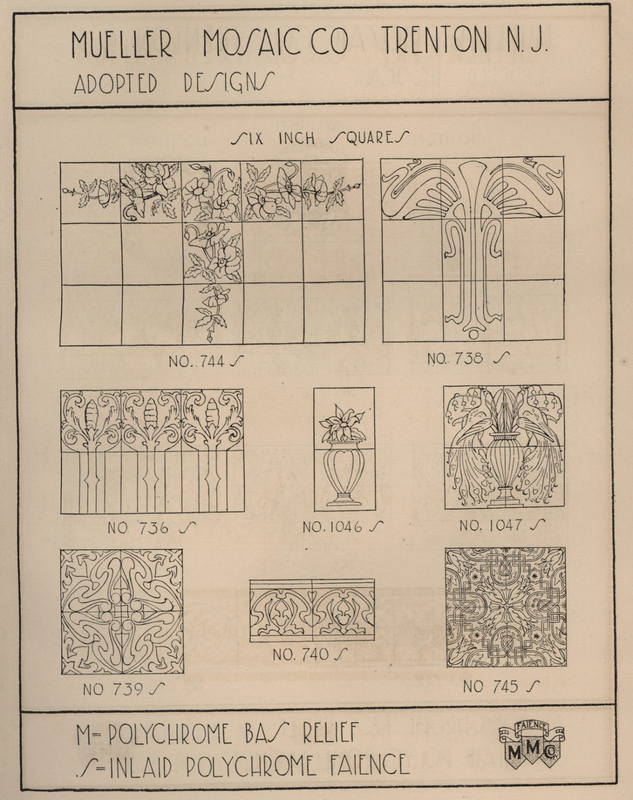 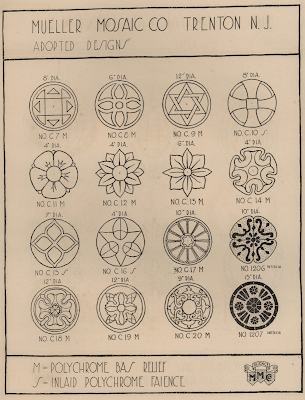 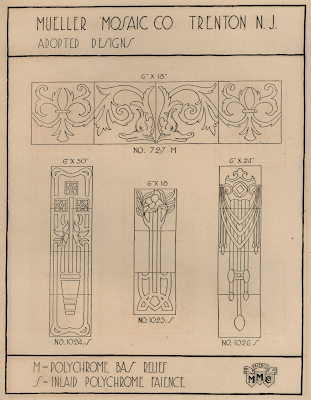 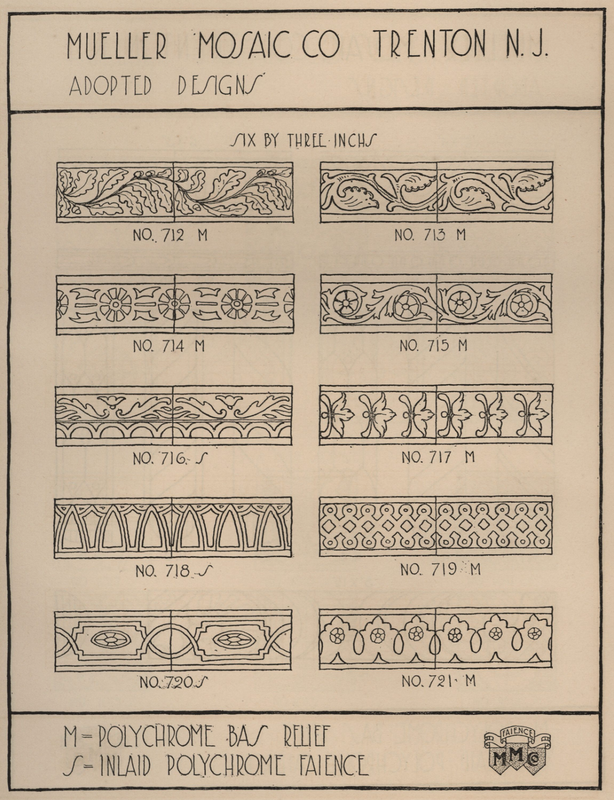 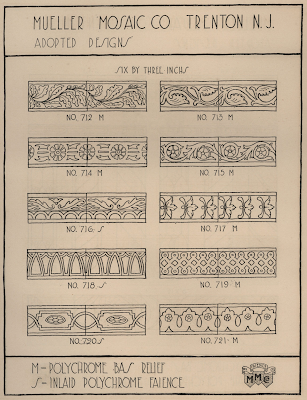 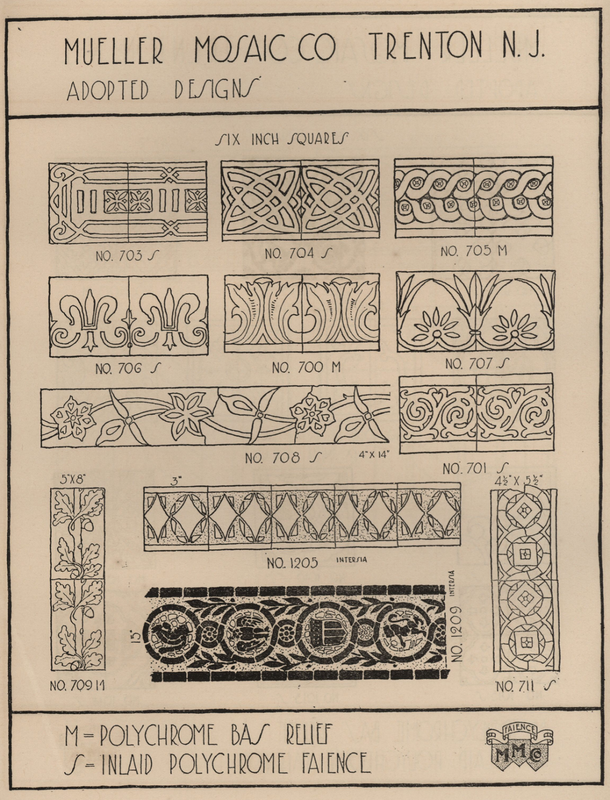 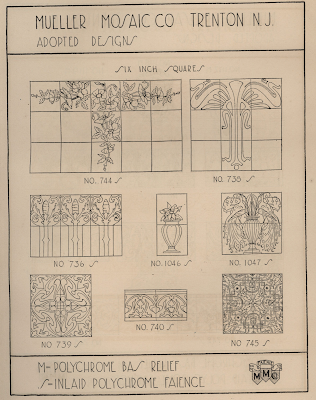 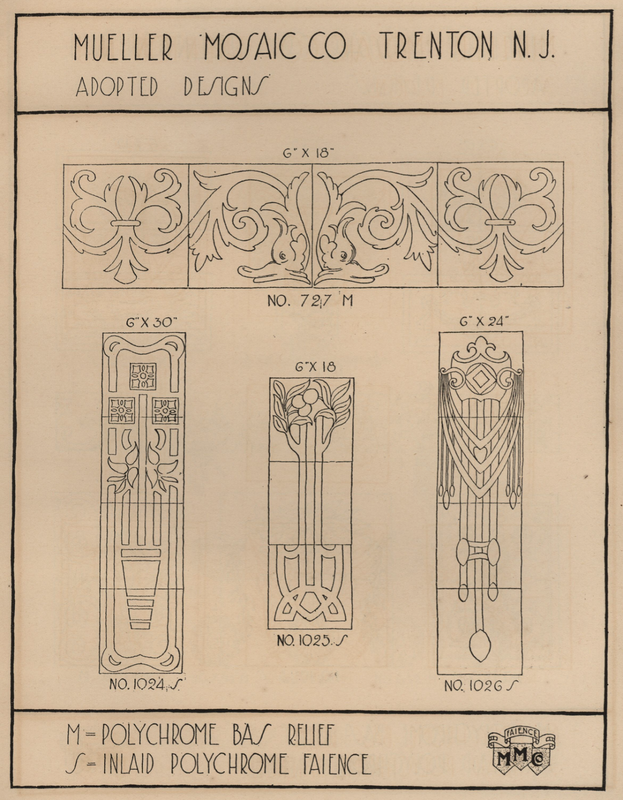 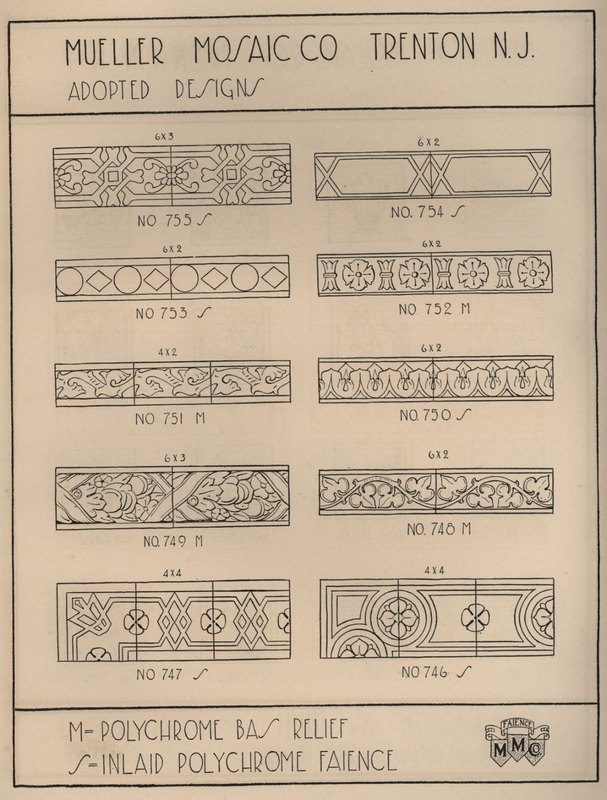 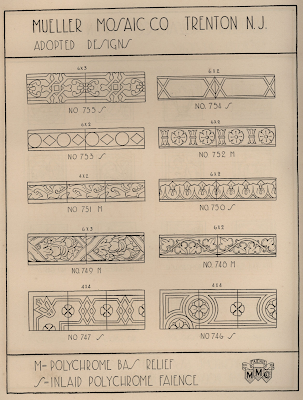 This is a Mueller Mosaic Tile catalog from approximately 1920. 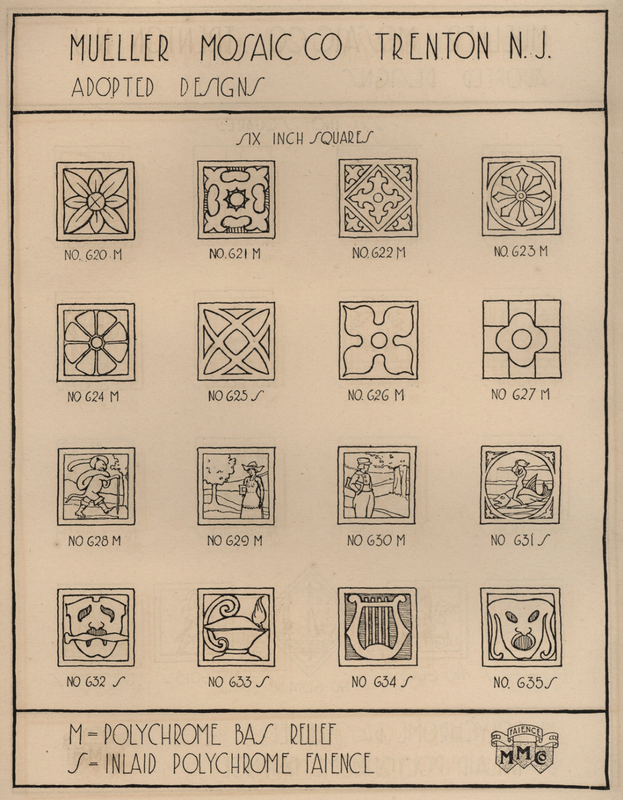 Wow, I could do a lot of decorating with so many tile choices. 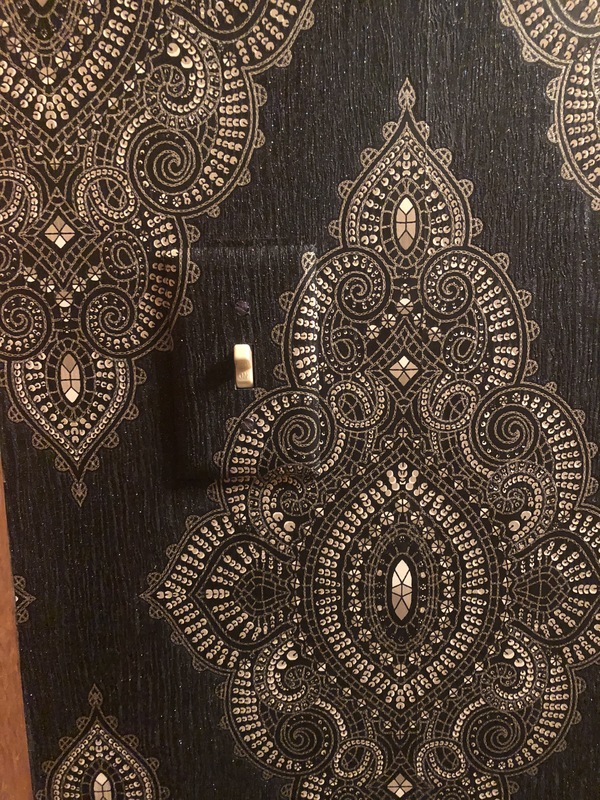 Very inspiring, but I assume no longer available. 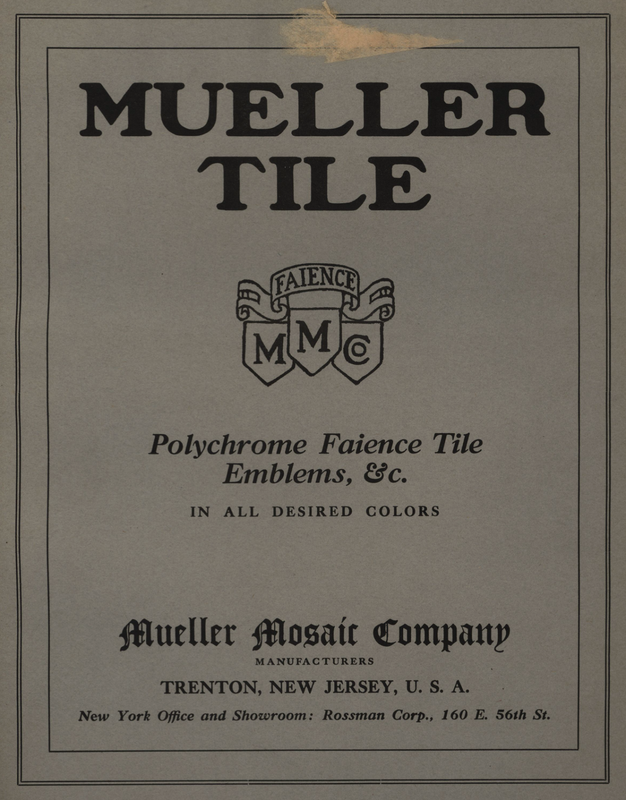 Probably not available, though there are a number of companies that make reproduction tiles. 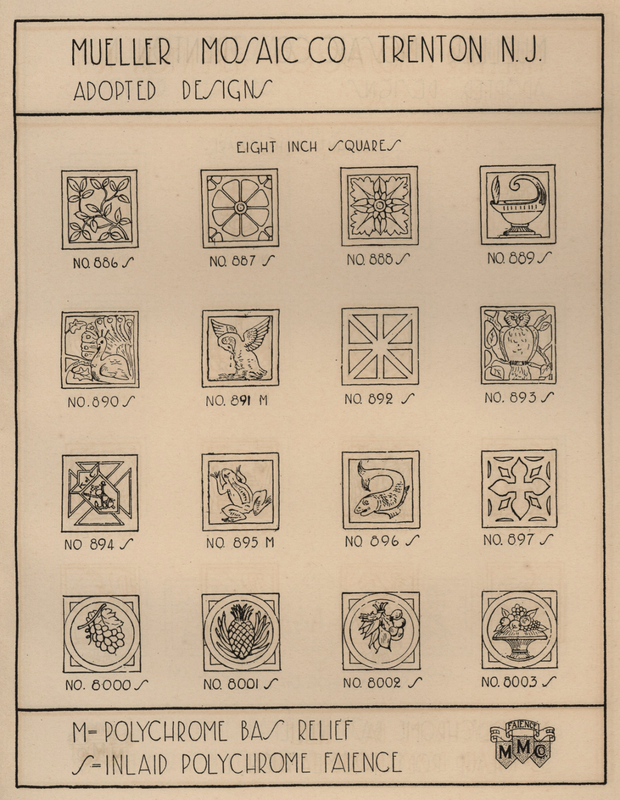 And you can use the catalogs here to shop for similar tiles. That's what I'm doing.